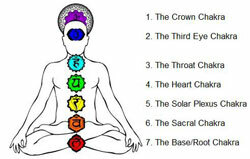 The Five Tibetan Rites are a system of exercise intended to stimulate and re-energize the seven chakras of the body. These exercises have been modified to make them safer and easier to practice while still retaining the full benefits of the ancient Tibetan rites. This modern system is called T5T. What if I told you that there were five simple exercises which you could do every day that took ten minutes, which would make you look and feel better, improve your overall health, and actually slow down the again process. Would you be interested? Well, here is the story of just such an exercise system. I have been aware of this for a while but just recently started practicing the first of these exercises. I am impressed with the results to put it mildly. From the mystery shrouded land of the Tibetan singing bowls, and the Tibetan bells, the origins of these exercises are clouded in antiquity. The story goes that a retired British Army Colonel traveled to Tibet and lived in a lamasery (monastery) with Buddhist monks and was taught five exercises which rejuvenated the body through re-energizing the seven chakras, restoring youth and health. Kelder had met the older retired British Army officer in California who told him that he was searching for a lamasery in Tibet where the monks held ancient secrets of rejuvenation. The officer was determined to find this lamasery and went back to Tibet in search of it. Years passed and finally Kelder received a letter from the officer such that he had found what he was searching for and was returning to the United States to share what he had learned about the secrets of the lamas. When Kelder first met the officer he did not recognize him as he had the features of a much younger man. The officer proceeded to tell Kelder about the time he spent in Tibet studying among the Buddhist monks, and the secrets of remaining youthful through practice of certain exercises he called the Five Tibetan Rites. He claimed that the practice of these exercises had reversed the aging process and allowed him to regain his youth. According to ancient tradition and belief there are seven spinning energy vortexes in the body, which are referred to as chakras. Chakra is the Sanscrit word for vortex. These charkas begin at the base of the spine and end on the crown of the head. As we age the vortexes (chakras) spin more and more slowly. Actually it is the slowing down of the vortex spin, which causes us to age, according to ancient belief. So by speeding up the spin of these energy vortexes, we can slow down the aging process and restore youth and health. These concepts may really challenge your beliefs, but suffice it to say that practitioners of the Five Tibetan Rites consistently report feeling more energy, strength, calm, and focus. Their health invariably improves and they notice real benefit from the exercises. T5T is the name of a program developed by Carolinda Witt to teach people the Five Tibetan Rites safely and effectively. Some of the postures in the rites are difficult for beginners to master. However Carolinda through her T5T book and DVD, bring you from beginner through intermediate and finally to advanced practice and beyond in a gradual progression. She collaborated with other health professionals to ensure that the exercises she outlines in her program would not cause injury, and to allow people with physical limitations to be able to perform them effectively. T5T takes the Five Tibetan Rites and makes them accessible to a modern audience, while still retaining all the benefits and effectiveness of their original forms. The T5T system will not produce the bulging muscles of a bodybuilder or strength athlete. Nor will it give you the endurance of a marathon runner. However for most of us who aren't necessarily looking for those things, but just want to be healthy, feel good and look good as well, T5T is the best investment you can make. The ancient exercise system of Buddhist monks to re-energize the seven chakras has been adapted to fit our busy modern lifestyles. 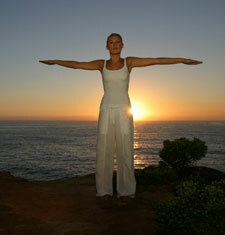 The result is 10 minutes of the most beneficial exercise for promoting all around health and longevity. Check out the T5T system today, and start YOUR de-aging program now! Click on the link below to learn more about what T5T can do for you!